I must admit I really don't get that excited about Halloween, but when you have kids you have to amp it up a little for their sake. 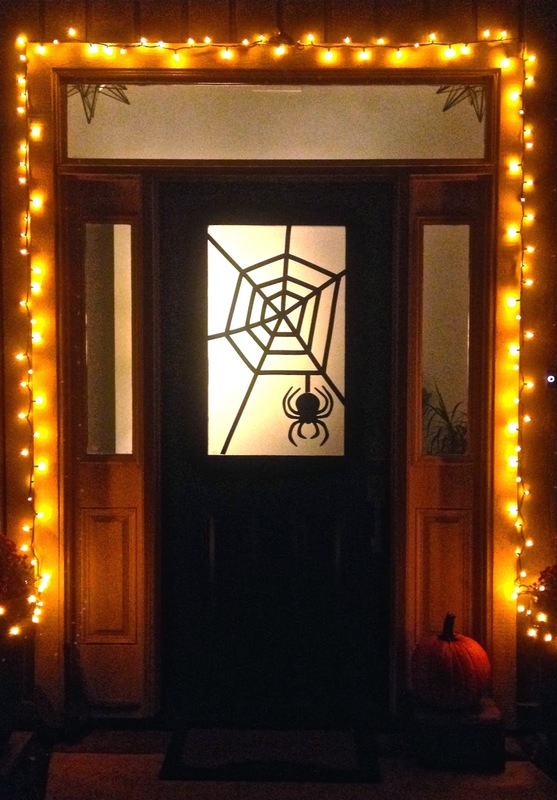 My little one doesn't like spooky stuff so I figured a spiderweb was pretty mellow. 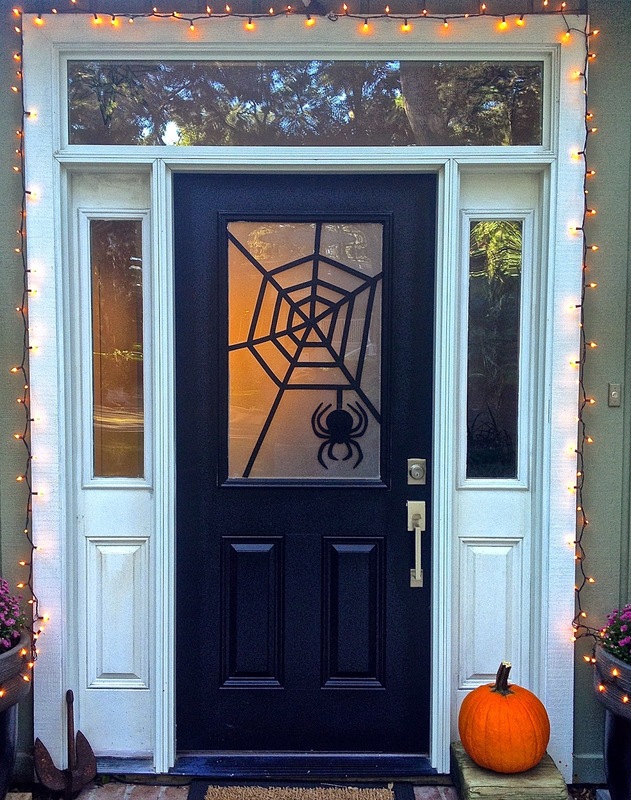 We used electrical tape and I bought a wood cutout spider from Michaels . It couldn't have been easier. 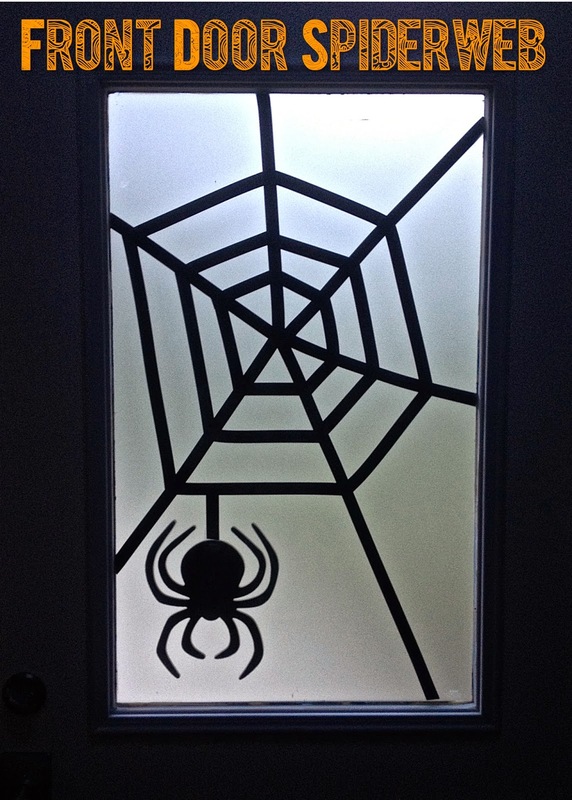 It looks really cool on our frosted glass, especially at night.